Every year at my annual visit to the pediatrician for my physical examination, I am always asked how much milk I am consuming daily. Doctors always stress that is is imperative to drink milk in adolescence because this can aid the bones as the body progresses into the elderly years, when the bones grow weaker. I frequently hear that proper calcium intake is necessary when your bones aren’t fully developed to prevent harmful factors like injury, and sickness, and that the consumption of milk and calcium will follow you through your entire lifespan. Personally, I try to consume my daily dose of calcium by drinking milk and putting it in my cereal. Everyone believes this assumption that milks make the bones stronger because we hear it multiple times a year and just assume this is true because this is what experts are telling us. Should we as a society believe this, or is this just another example of how our intuition is lousy, and tend to believe things based on what people are telling us without doing any research? In recent years, researchers have been taking a closer look into how calcium intake really affects the bones, and overall health in general. Critics believe that milk consumption actually makes bones weaker, and increases the chance for osteoporosis in elderly ages. They argued that milk may actually make bones lose calcium, due to the thought that milk and other dairy products are acid products which may promote health problems and disease. These researchers looked into a correlation between countries that have a higher dairy consumption, and osteoporotic fracture incidence. They tested the pH of urine and found that with the more consumption of milk, the more acidic the urine became. However, the pH of urine does attest to the pH of the body as a whole. Although these researchers may have found a correlation, this does not imply causation at all, and as a matter of fact, they have no scientific evidence to back their research. A longitudinal study was conducted by Harvard Nurses Health study that looked in to the fracture risk attributed to milk consumption. This study included 77,761 women between 34 and 59 years old. They concluded that the women who consumed the most milk, actually had more fractures than the women who rarely drank milk. So I’m sure many of you are wondering the mechanism behind this research. 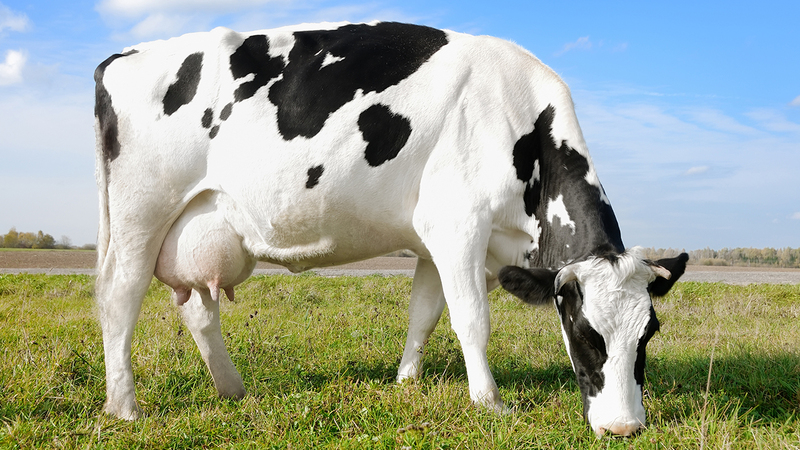 In present times, cows are injected with a bovine growth hormone, which increases the amount of milk a cow would normally produce. This shoots up the insulin level in the blood, which happens to be associated with different types of cancers. What can we conclude from these studies. Well, since I failed to find an actual randomized controlled experiment that shows a strong correlation with a low p-value between the consumption of milk and it’s negative side effects on the strength of bones and health, nothing can be assumed in this case. However, some of these observational studies do imply a correlation, and if drinking milk is your only method of getting calcium into your body, you may want to try other sources of getting the proper nutrients. For example, eating fruits and vegetables are a great way of getting Vitamin D and calcium into your diet. Also, it might be a good idea to try yogurt as well, where you will still be getting the same amount of dairy and calcium, but at the same time will be putting less acidic substance into your body. Before looking into this research, I was ignorant that milk may have negative side effects on health and bone strength. Although this research did not make these assumptions definite, it definite rose curiosity. I am still going to continue drinking milk, however, I will be more cautious on the amount that I intake, and will definitely look to other options for calcium on top of milk. This entry was posted in Uncategorized on October 21, 2016 by Jackson Grey Hope. My parents also said that to me, they believed that I needed to drink milk in order to be healthy when Im old since the calcium will help my bones. I actually love milk and ever since I was little I’ve been drinking a lot of it. I had to stop because now I am lactose intolerant. When I had the lactose intolerance test done, my doctor mentioned how more and more people are becoming intolerant to milk. I wonder if milk has many negative effects on our health. 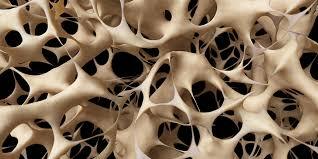 It does not help our bones, but does it affect something in our bodies? I found an article that explains how intolerance to milk may vary on your genes and also how age is correlational to dairy tolerance. As age increases, lactose tolerance decreases. I think this is very interesting to know and as you said in your blog it could be a reason for us to keep in mind the quantity of milk we drink. There are so many things that scientists keep going back and forth on like this. One second I’m hearing that milk is good for you, the next I’m hearing it’s bad. My grandmother almost never drank milk when she was younger, and she’s got brittle bones and horrible osteoporosis. I think she may have been the first person to tell me that I needed to make sure I drank a lot of milk. Personally, I think I believe that milk holds enough health benefits that we should all continue to drink it and tell our future kids to drink it. I also think it’s delicious, no way am I giving that up. One other thing, however. My best friend has given up drinking milk because it gives her acne. Now, I’ve never had that problem, so it just goes to show how some things affect some people in different ways. It’s hard to be sure about what is right for everyone. I thought that this post and study was very educative and interesting. When I was younger, my grandma always used to tell me to drink more milk because she thought that it would be beneficial for my health. After reading this post, I’m going to try to cut down on the amount of milk I consume. I love drinking a nice, cold glass of milk, especially chocolate. I was unaware of the negative side effects of milk before this blog. Although I am still going to continue to drink milk, this study has brought some negative side effects to my attention. I wish there was an experiment that could show this.